During your sessions, we will create specific goals to work on between visits; these small steps will help you "baby step" your way towards your long term wellness goals. You are a unique individual, therefore your needs will be unique. For some, regular office visits for nutrition and wellness counseling and education are what is needed; for others, they may also include cooking classes, home visits, and grocery store tours. During your first visit, we will discuss the options available a create a plan that best meets your needs. The World Health Organization (WHO) defines Herbal medicines as herbal materials, herbal preparations and finished herbal products that contain as active ingredients parts of plants, or other plant materials, or combinations and are used to enhance well-being. While the use of herbs for healing may seem rare, people have used plants to support health for centuries in cultures around the world. Many herbalists describe herbs as gentle therapies that help nudge your body towards wellness and support the body's intrinsic capacity to heal. In our culture, many people encounter health challenges such as sleep deprivation/insomnia, high stress load, decreased digestive function, or decreased immune function. These underlying imbalances result in a general lack of wellness and vitality and become road blocks on the journey to health and healing. For many, herbal therapies can be a wonderful way to restore balance in the body, improve sleep, decrease stress, and support healthy digestive and immune function. During your visits, we will discuss the various herbal therapies available and what will work best for you. 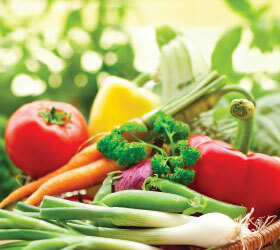 Read more about Nutrition Counseling services. Our nutritionist is currently taking a leave of absence but we hope that she will be able to return in the future.